If a contact no longer wants to receive your marketing you are obliged to honour that unsubscribe request (it's the law). They can either unsubscribe directly from your marketing by clicking on an unsubscribe link or you can unsubscribe them manually. Once this has happened they become an unsubscribed contact and you should no longer send marketing to them. There are two main ways of contacts becoming unsubscribed. 1. The contact receives your marketing and clicks on the unsubscribe link in your marketing. They will then be fired over to your unsubscribe page where they can type in their email address. Campus takes care of this for you and you'll get a notification in the contact's record to show that they have unsubscribed. 2. You can unsubscribe a contact manually by heading on over to their view page and clicking on the Unsubscribe item in the Actions dropdown. You can go and view your unsubscribed contacts by going to your Settings module (by clicking on the Settings item in the dropdown menu underneath the user picture top right of your screen). 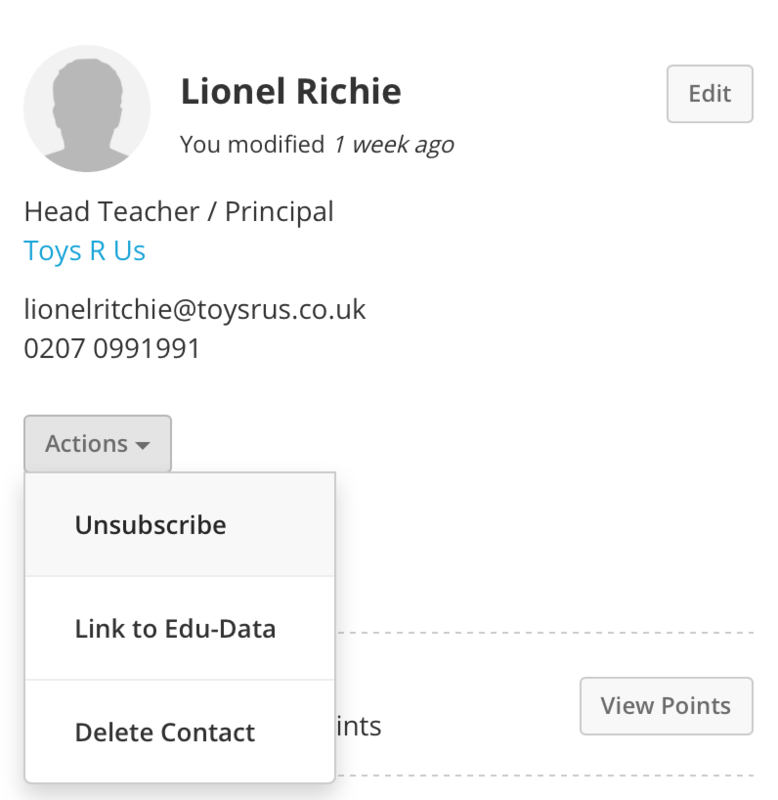 Then select the Contacts item in the submenu and then the Unsubscribes item in the dropdown. Here you'll see a list of all of your unsubscribed contacts. You'll notice that there's an opportunity to resubscribe a Contact if you want to.